We're always working hard to make sure that we improve both the functionality AND the aesthetics of the surveys that you build in ResponseSuite, because we know that we have the most fashionable and beautiful customers in the world… and we want your surveys to reflect that! This week, we're proud to roll out our ‘Image Library', which is an epic collaboration across our content, design and development team. Our designer has created a collection of 277 unique, amazing and exclusive graphics that you can drop into your surveys with a couple of clicks and instantly add some ‘sizzle' to your designs. We've been paying close attention to the kind of niches and industries that our customers span and have used this to create these stunning works of art, ready for you to use. Whenever you're creating a survey, just drop in an ‘Image' element and you'll see a tab called ‘Gallery'. You can search through all of our amazing custom graphics, either by searching for keywords or you can simply view all of the headers, dividers or icons. 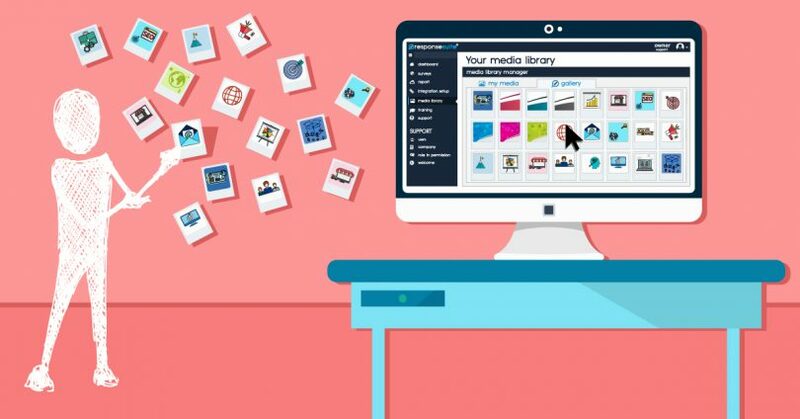 We've also added a ‘Media Library', to create a handy home for all of your images and media.